Norwegian Cruise Line has announced the lineup for the 2017/2018 Meet the Winemakers Cruises. The selected cruises aboard the Norwegian Escape and the Norwegian Dawn will give guests the opportunity to mingle with some of the leaders and legends in the wine-making industry. Events on the cruises include private dinners, wine tastings, meet and greets, and Q&A sessions. The Meet the Winemaker Cruise is a partnership with the Michael Mondavi family to celebrate the best in wine. For any wine enthusiast, this is an event not to be missed. The Winemaker Dinner Series will be held at The Cellars, a Michael Mondavi Family Wine Bar. The bar debuted in 2015 on the Norwegian Escape and offers patrons a curated wine list and the opportunity to participate in many interactive activities, including seminars, tastings, pairings, and workshops. The partnership expanded in 2016 when The Cellars opened on-board the Norwegian Dawn. Guests onboard the selected sailings will have several opportunities to engage with the winemakers and experts. On the second day of each cruise, guests will have the opportunity to engage in an open-forum question & answer session. This will be a perfect opportunity for guests to dive into the minds of the seasoned experts. Following the Q&A sessions, guests will have the opportunity to purchase featured wines and have the bottle signed by the expert. The open forum and meet & greet are complimentary and open to all guests on-board. Guests who want a more intimate experience are invited to a hands-on wine tasting and educational seminar hosted in The Cellars. The price for the tastings is $19.95 per person and will feature wines hand-picked by the featured guest. The expert will take guests on a tour of the wine-making world and provide tailored insight into their specific area of expertise. The cruises will also feature an exclusive wine dinner for guests looking for a unique gourmet experience. Pricing for the dinner will be $59.95 per person and guests will be treated to five decadent courses paired with wine specifically chosen for each course. Seating is limited for both the tasting and dinner and reservations will only be available on the ship. The September 22nd, 2017 sailing of the Norwegian Dawn will feature special quest Michael Mondavi. Michael is the co-founder of The Cellars- a wine bar featured on select Norwegian ships. Michael is also a member of the Mondavi family, whose name is closely associated with a long history of quality winemaking in Napa Valley. The November 4th, 2017 sailing of the Norwegian Escape will feature Bill Whiting as the special guest. Bill is the wine education director for the family-owned Banfi Vinters. His expertise helps carry on the tradition of the award-winning estate founded in 1919 in Tuscany. Celebrity chef Aaron Sanchez will be the special guest on the December 2nd, 2017 sailing of the Norwegian Escape. Chef Sanchez is the official ambassador and spokesperson for Terrazas wines. He is considered one of the world’s leading contemporary Latin chefs, and can often be seen as a judge on various cooking competition television shows. Renowned winemaker Gerard Bertrand will be the special guest for the February 17th, 2018 sailing of the Norwegian Escape. Gerard is considered one of the top winemakers in the world, and was named Red Winemaker of the Year in 2012 after winning 46 accolades and 2 trophies for his wines. Heir to the famous Salvatore Ferragamo Italian fashion house and the owner of the II Barro Winery in Tuscany, Italy, Salvatore Ferragamo will be the special guest for the March 2018 sailing of the Norwegian Escape. Salvatore’s father, Ferruccio, bought the vineyard in 1993, and Salvatore has released delicious wines from the vineyard since 1999. The Norwegian Dawn sails to Bermuda from June through October. She sails to Canada and New England in September and October from her seasonal homeport in Boston. The Norwegian Escape is currently sailing the Eastern and Western Caribbean from her homeport in Miami. If you are a wine aficionado, this is an experience not to be missed. 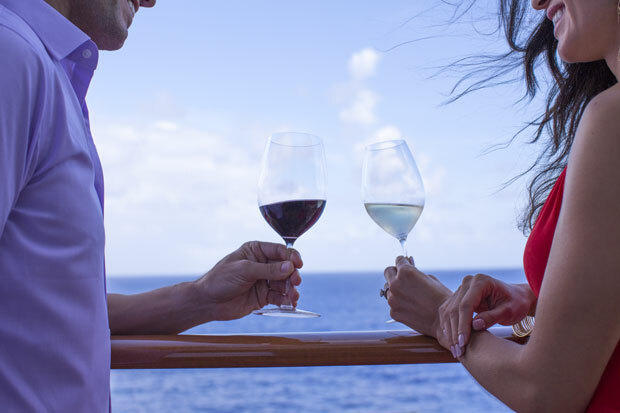 For more information about securing your spot on one of Norwegian Cruise Line’s exclusive wine cruises, please visit our website or give us a call at 1-800-377-9383. 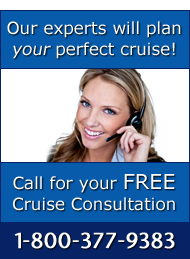 Our cruise consultants are ready to help you plan your next getaway! Will you be offering more of these cruises??? I am sailing on the Escape in September 9, 2018 and I hope this will be offered on this sailing. Thank you for your comment, we’re also pretty excited about the Norwegian Cruise Line Meet the Winemaker Cruises! At this time, Norwegian Cruise Line hasn’t announced any more of the Winemaker sailings, but given their popularity, we’re hoping they do add more. If Norwegian does announce more sailings, we will be posting the information here, so make sure you check back here to stay up to date! To get more information about the Meet the Winemaker cruises and other sailings, please call The Cruise Web at 1-800-377-9383, our Cruise Consultants are ready to help you plan your next cruise! I am very interested and wanted to know what dates in March this will be offered.